Fly by private jet charter Austin, with JetOptions and enjoy all the region has to offer. Austin, the capital city of Texas is also one of the most popular areas to visit. It’s the home of many world famous sporting, music, and cultural events every year bringing hundreds of thousands to experience Austin. Austin Texas has two primary and two regional airports to meet the needs of private jet travelers flying into or departing Austin. Austin-Bergstrom International (AUS) is both a commercial facility and includes a fixed base operator (FBO) for Private Jets. The nearby Austin Executive Airport (EDC) provides services exclusively for general aviation and private planes including the terminal building and hangars. Bergstrom is located southeast, and Executive is northeast of the capital in Austin’s downtown district. Both airports have easy access to Highway 130 and the world-famous Circuit of the Americas racetrack. With capacity for 120,000 fans, the Circuit of the Americas is the host of the Pirelli World Challenge, the Lone Star LeMans Race, and Formula One Racing, the home of F1’s United States Grand Prix. Also on-site is the Austin 360 Amphitheater with year-round concerts featuring all the top names from music. North of Austin, in the city of Georgetown, is GTU, Georgetown Municipal Airport. Georgetown Municipal is only used by private and general aviation and has two FBOs for private planes. South of Austin is the San Marcos Municipal Airport (HYI), and like Georgetown, this airport’s traffic is purely private aircraft, they also have two fixed base operators. Visitors to San Marcos may also enjoy a visit to their outlet malls. Featuring luxury brands like Gucci, Ferragamo, Prada, St. John and more, it’s one of the few shopping centers with company stores from these brands inside the US. With so much to do when you take a private jet charter to Austin, it’s difficult to choose just a few attractions and activities. 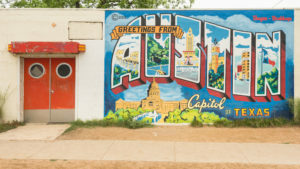 Take a private jet charter to Austin to experience the arts, with the city being a beacon of creativity in the county. Austin hosts world-class museums such as the Blanton. This museum houses contemporary American and Latin American art, Italian Renaissance and Baroque paintings. The Harry Ransom Center has a rare Gutenberg Bible, 30 million literary manuscripts, and the Watergate papers. Designers, painters, sculptors, writers, photographers, filmmakers, dancers and musicians visit the area. There are galleries to visit, such as the Contemporary at the Jones Center featuring contemporary art exhibitions, commissions, education and the collection. There are other museums dedicated to diversity, such as the Mexic-Art Museum and the Carver Museum. The Ballet Austin at the Long Center showcases dancers and choreographers. For an offbeat experience, visit the Cathedral of Junk and the Austin Art Car Parade. There are so many attractions to enjoy when you take a private jet charter to Austin. Play The Escape Game Austin, visit the historical LBJ Presidential Library, or go on the Austin Duck Adventures. When you go on the Austin Duck Adventures, you tour downtown Austin and at the end, splash into Lake Austin. The Amazing Scavenger Hunt Adventure – Austin combines the excitement of the Amazing Race with a three-hour city tour. Using your smartphone, multiple teams battle against each other, solving clues and learning about the city, including stopping at food trucks, hotels, and monuments. For an activity for adrenaline fans, visit iFly Austin Indoor Skydiving, where you can fly using the most advanced wind tunnel technology in the world. A private jet charter to Austin allows you to enjoy the many outdoor events that hit the city each year. Experience the Austin Marathon, hosting 20,000 runners from around the world. While the Austin Food + Wine Festival dishes up cuisine from many countries made by world-renowned chefs. For punk and alternative music lovers, rock out at Sound on Sound. For sci-fi, horror and fantasy genre film enthusiasts, Fantastic Fest is a must-attend. Famous SXSW Festival and Austin City Limits Music Festival are world-renowned, with the latter hosting 70,000 music fans per day. 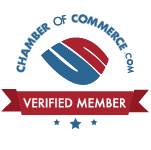 Visit private jet destinations in Texas and beyond; Dallas, Houston, San Antonio and more. Call or email JetOptions today for your next booking.